Pleasure Price: Ex-showroom 39500, On Road 43192 Rs. Mentioned Price are only approx price and subject to change without prior notice as per company policy or applicable tax change. 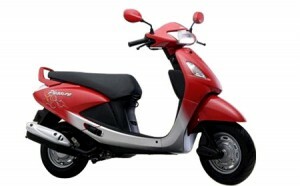 For exact price of Pleasure contact nearest authorized Hero Honda dealer. i just luv ma scooty!! its just osm!! !